Private beach villa for rent with swimming pool. Corfu, Greece. 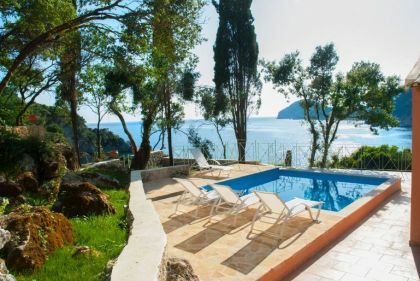 Perfectly located within just few minutes’ drive from a small village with necessary facilities in the north-eastern part of Corfu, a superb villa available for rent. Ideal for summer vacations, it is hidden in a vast green garden with olive trees and offers unlimited sea views, privacy and comfort. 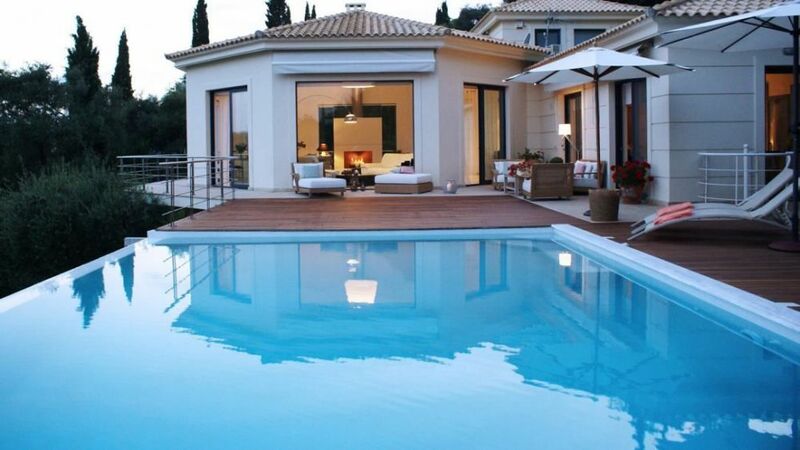 Newly built, the villa has three levels with 4 spacious bedrooms and amazing outdoor pool and sun terraces. 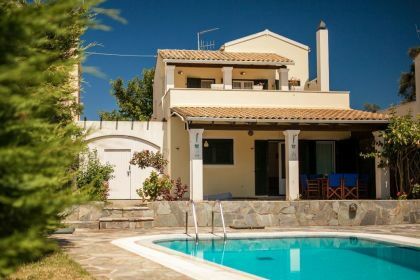 Villa accommodates up to 8 guests. 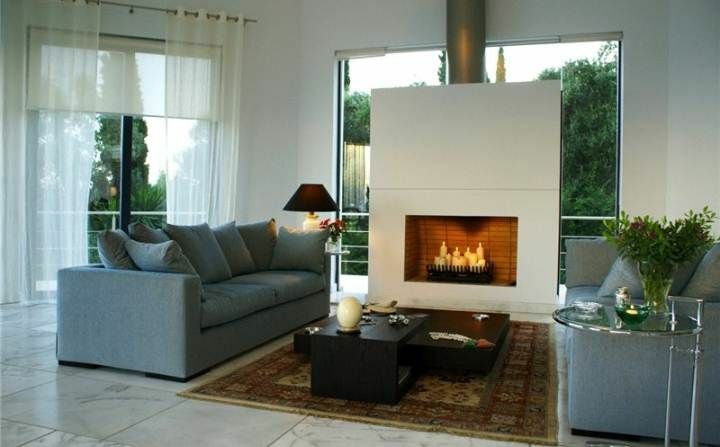 The main floor, where the entrance is includes a large living room of a unique octagon shape with fireplace and dining area. 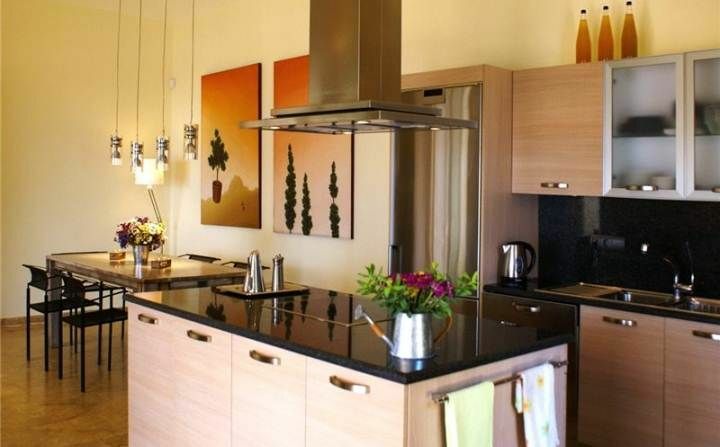 Linked to it is a kitchen, with full range of tools and appliances for most convenient self-cooking. 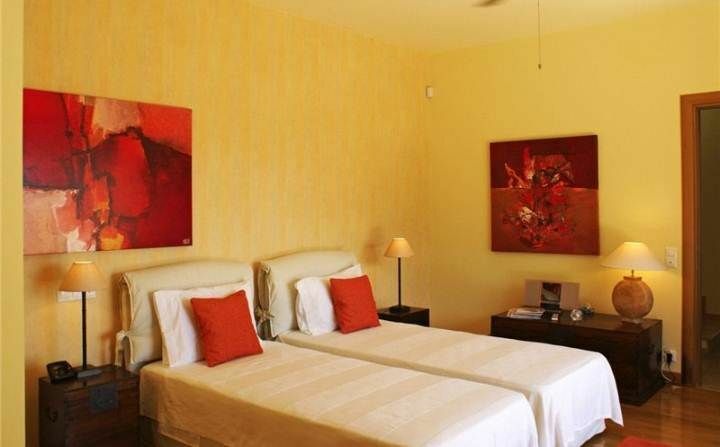 For the guests’ relaxation and entertainment there are cozy sofas, flat screen TV and DVD player, wireless internet provided. 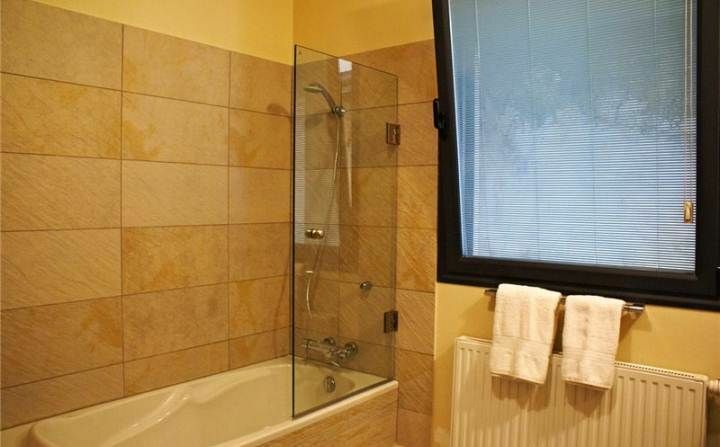 Same floor has 1 double bedroom with private bathroom. 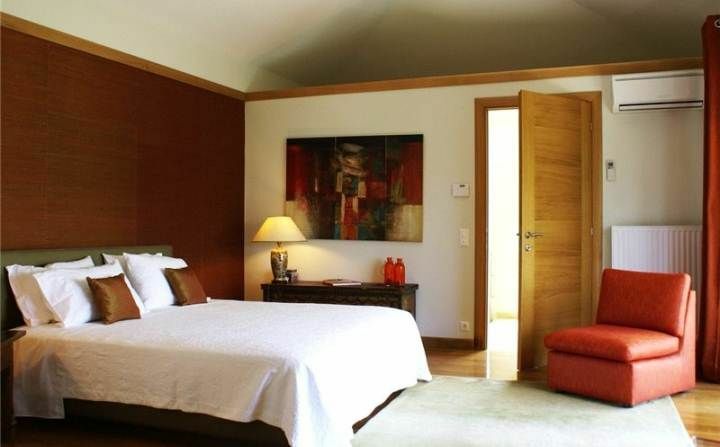 On the first floor, there is a master bedroom with ensuite bathroom and great views. The lowest floor houses one more living and dining room, 2 bedrooms with double beds and private bathroom each. They have access onto a terrace with an outside dining area. 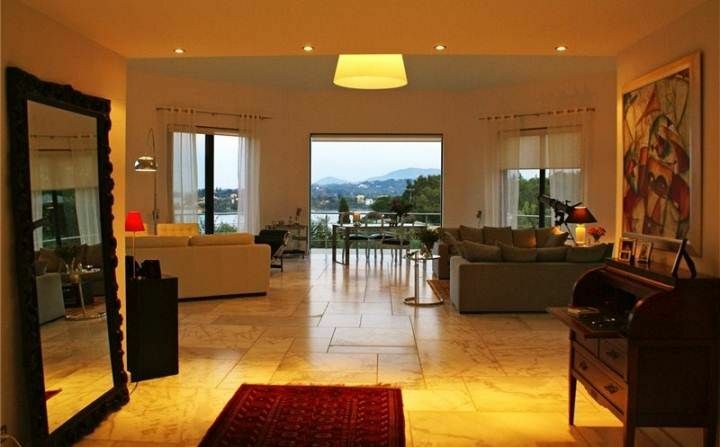 Main feature of the villa is direct private access to a pretty pebble beach, very secluded and calm. A stone pathway brings to it within just few minutes. Ideal when travelling with children. 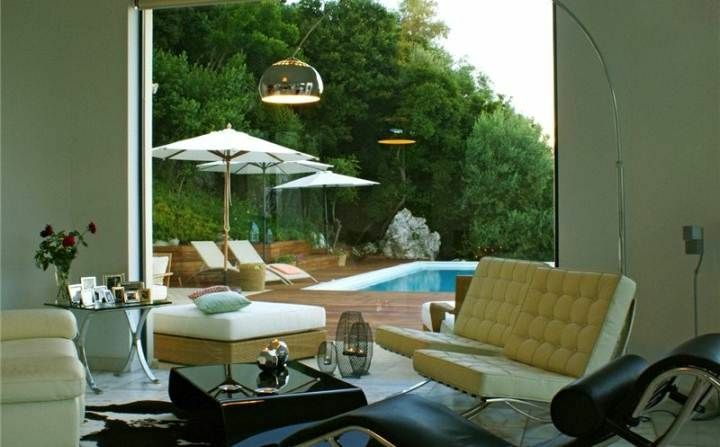 Also, via panoramic sliding doors, guests exit onto a pool deck, complemented with sunbeds and umbrellas for ultimate comfort. 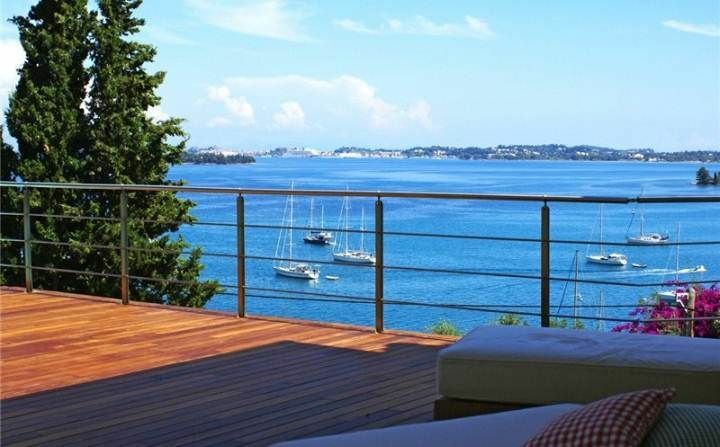 Amazing views guaranteed from here, as the swimming pool has infinity edge, which merges the blue sea in front of the villa. Car hire recommended for the most convenient stay. Corfu, being one of the most beautiful and popular islands of the country. It has a harmoniously combines rich historical background and very cosmopolitan feeling with its special character. Island offers about 110 picturesque beaches, numerous authentic taverns and restaurants, lovely villages, many churches, museums, unforgettable venetian Old Town. 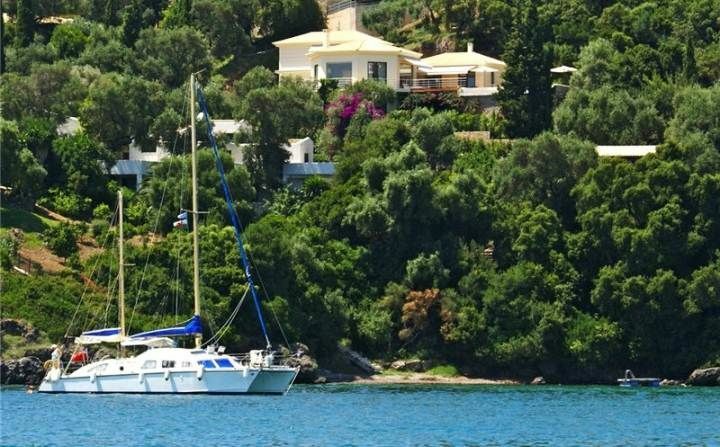 Holidays in Corfu you can combine with a day trip to other Ionian islands, like Paxos for example.